"Beach Hideaway" 83 ft Oceanfront private + half acre Mediterranean style home + B&B. Featuring 4 bdrms all with private entrances, 4 baths (2 with jacuzzi soaker tubs), 2 hot tubs, 2 gas fireplaces. Both levels offer beautiful panorami c westerly ocean & Mtn views. 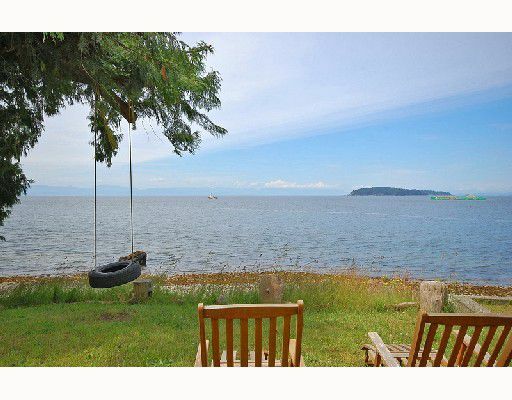 Easy stroll down to the beach where there is a lovely lawn & potential for guest cottage. Lots of easy parking, only 1 mile to Sechelt.